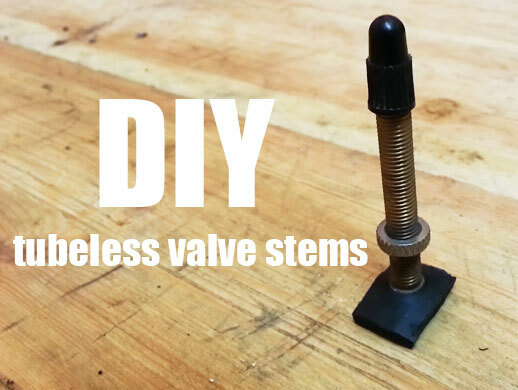 How to make your own DIY tubeless tire valve stems! With tubeless wheels and tires becoming increasingly popular in mountain biking for the added benefits of running lower air pressures, puncture resistance and a more supple ride, the need to know how to properly set-up and maintain your tubeless system becomes essential for the do-it-yourself bike mechanic. 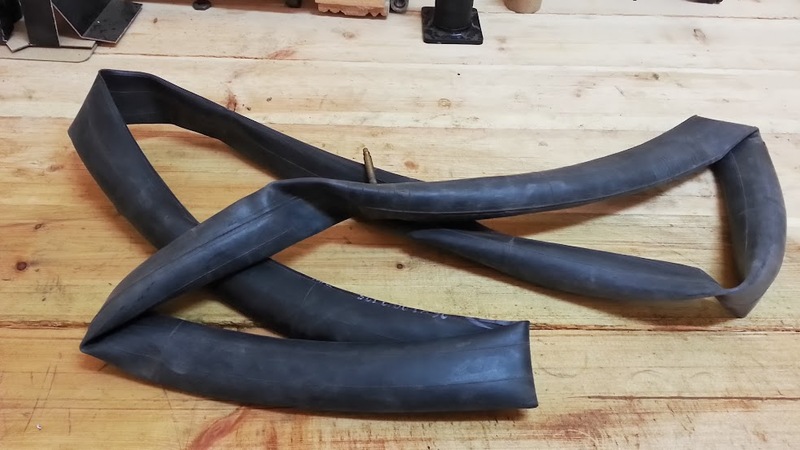 One important component of the tubeless tire system is the valve stems, which are often sold for overpriced prices for what are essentially very simple components! 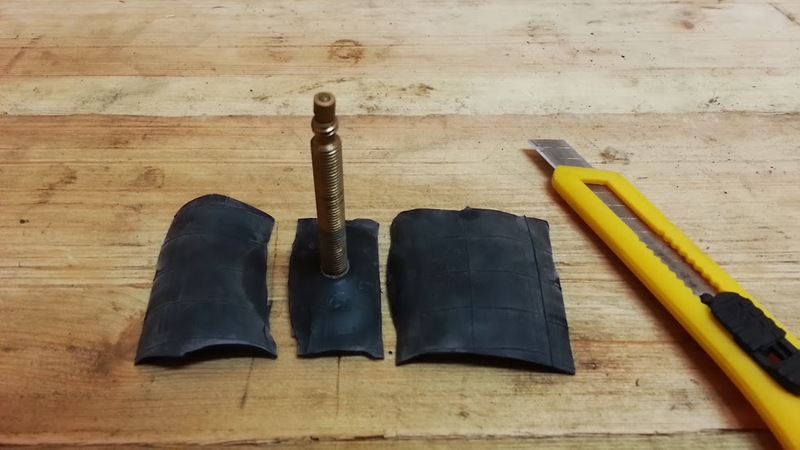 This guide shows you how to very easily make your own tubeless valve stems using things that you will probably already have: inner tubes and a cutting tool! 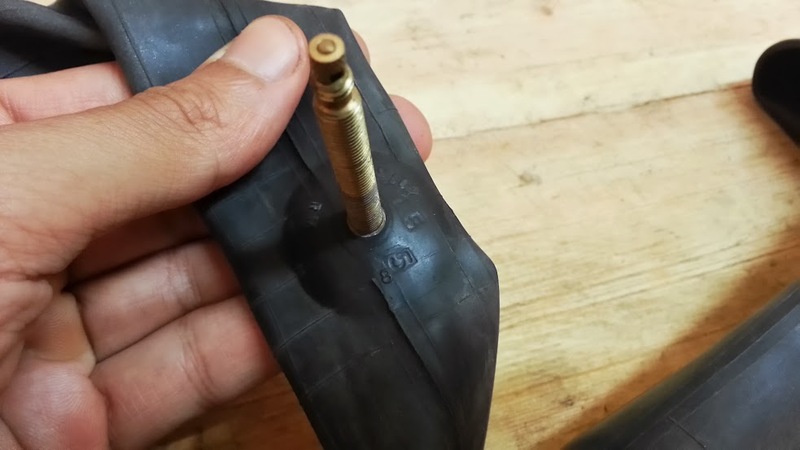 1- Inner tube (Presta or schrader valve depends on your preference and your rim valve drilling. This guide shows a presta valve). 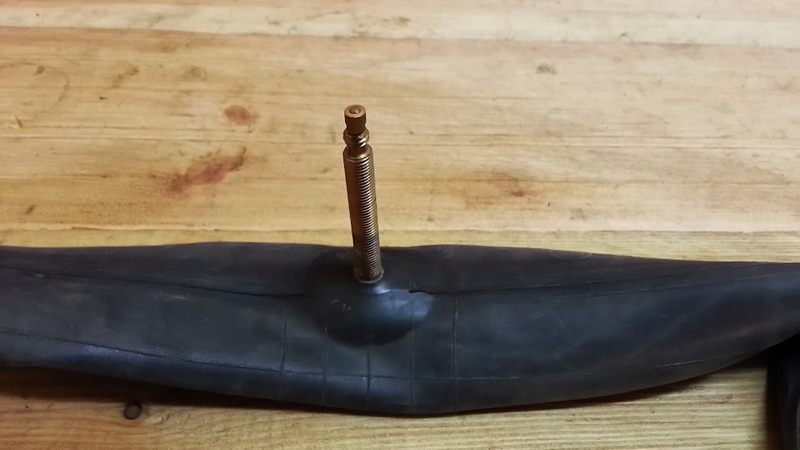 Any old/new or punctured tube will work as long as the valve area is intact. 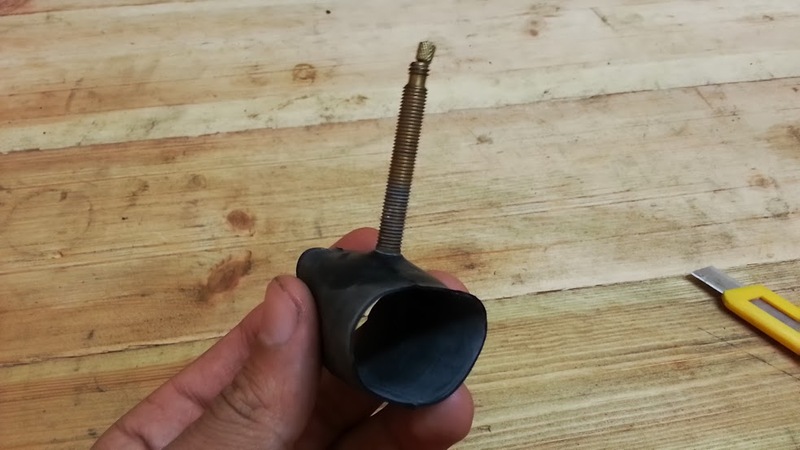 I find it better to use a tube that has a longer presta valve stem (like the the one in this guide, which is around 42mm long) for a better valve-pump interface with deep rims and with a removable core for ease of adding tire sealant, but any functioning valve should work. 2- Sharp utility or exacto knife. 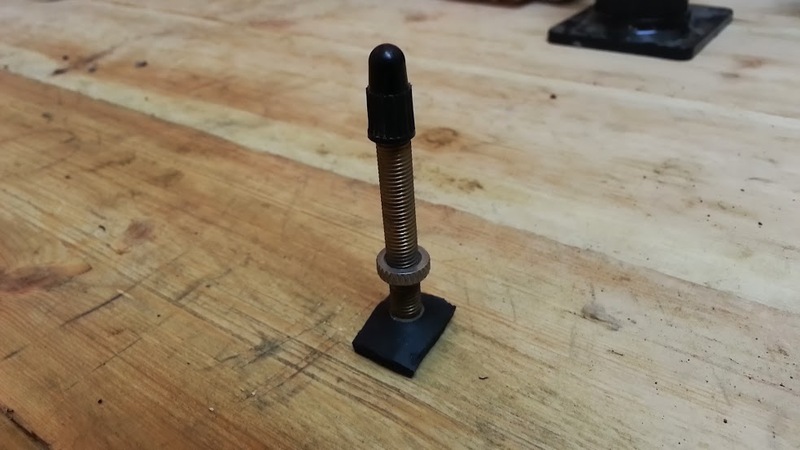 Step 1: Lay your tube flat with the valve stem area up on a workbench or a surface suitable for safely cutting on. 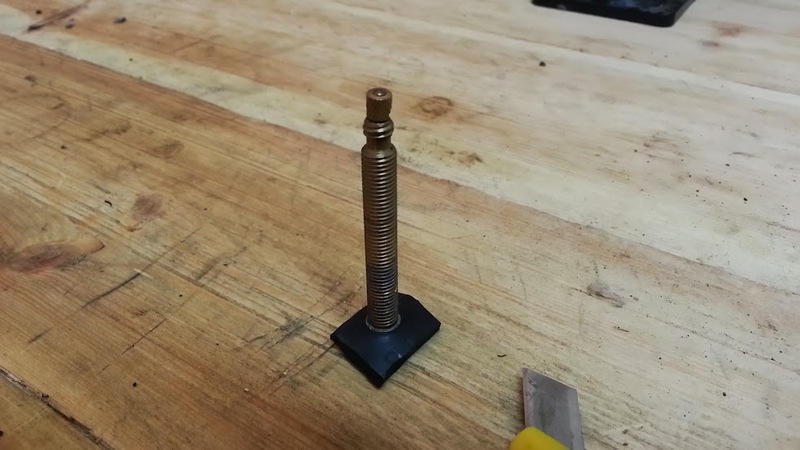 There is a small circle of thicker rubber around the valve. Step 2: Using your utility knife, cut the tube on either side of the tube as shown. Step 3: You will now be left with the valve stem section of tube as shown in the picture. 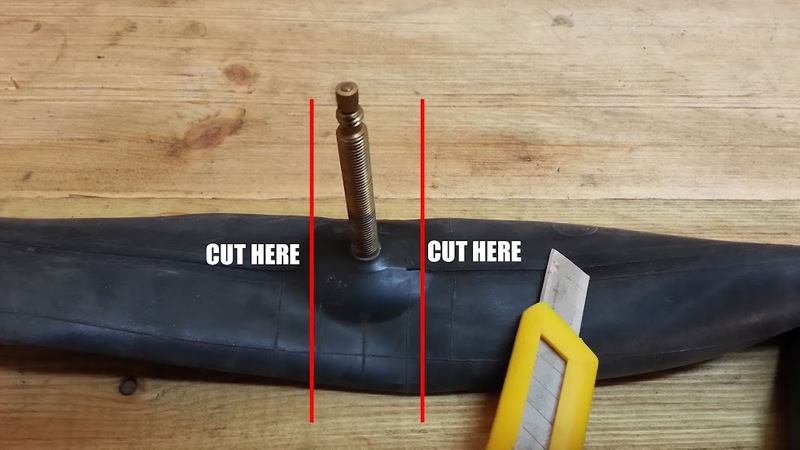 Cut the section open from right below the valve stem to flatten out the rubber as shown in the next step. Step 4: Place the flattened out section of tube on the workbench as shown, and proceed to Step 5. 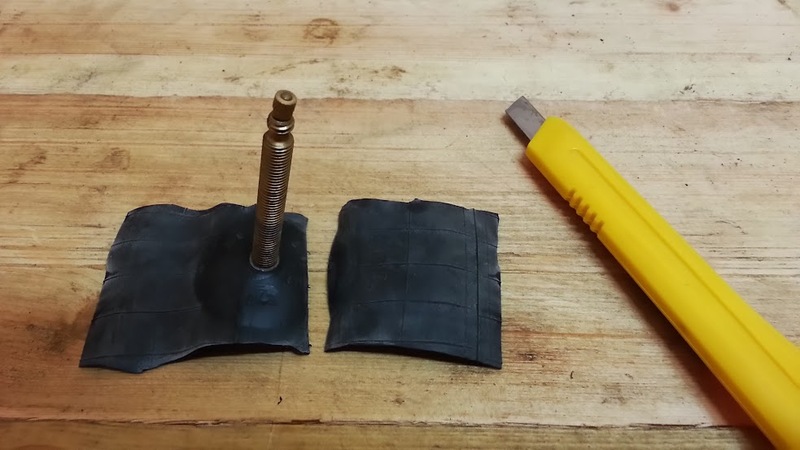 Step 5: Trim the rest of the rubber from around the valve stem area while being careful not to damage the rubber right underneath the valve. 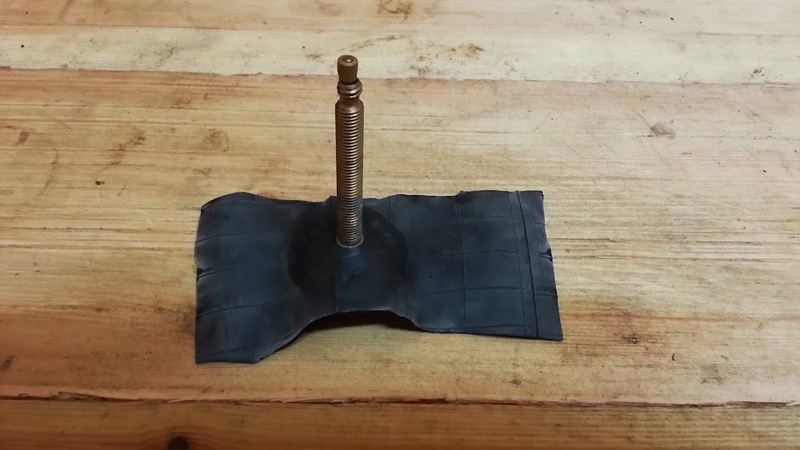 You want it thin enough so as not to block the rim bead hook when mounting your tires. Step 5: And here is the finished product!